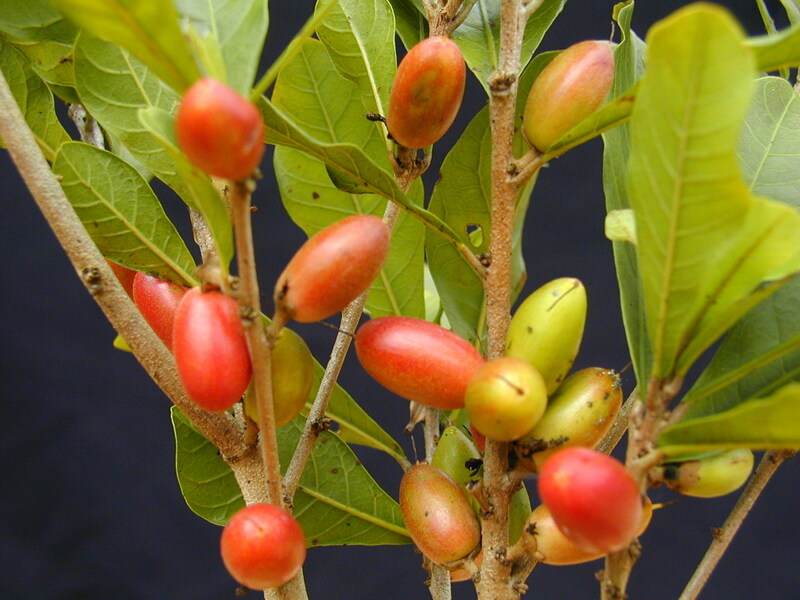 The miracle fruit, or miracle berry plant (Synsepalum dulcificum), produces berries that, when eaten, cause sour foods (such as lemons and limes) subsequently consumed to taste sweet. The berry itself has a low sugar content and a mildly sweet tang. It contains an active glycoprotein molecule, with some trailing carbohydrate chains, called miraculin. When the fleshy part of the fruit is eaten, this molecule binds to the tongue's taste buds, causing sour foods to taste sweet.